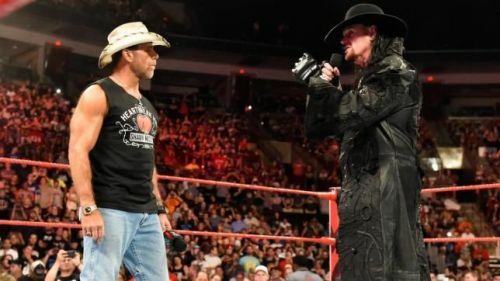 Shawn Michaels is rumored to come out of his retirement after his heated promo with The Undertaker. Just two weeks ago WWE dropped some hints on HBK's return in the near future. Shawn Michaels wrestled his last match back at WrestleMania 26. His match was against The Undertaker with a stipulation of career vs streak. In the bout HBK lost, due to which he had to retire. Though Shawn Michaels has put down some ideas of his return for years, this time it seems different as the WWE is possibly planning something big for his return in the near future. That's a huge amount of money for anyone, but in the end it's all worth it for HBK's return. After all, he's coming out of retirement after a long time now. Only time will tell when HBK will come out of his retirement, lace up his boots, get in the ring, and hit a Sweet Chin Music on someone. Also, Shawn Michaels is rumored to wrestle up to five matches in the near future. What do you think, who should face HBK first? Have your say in the comments.